Yesterday was the last day of the Chichester Open Studios art trail. We had many interested visitors and several of you who read this blog. Thank you for coming so far. It was lovely seeing all of you, and an honour. After finishing yesterday we obviously had to clear everything up. Take the pictures and screens down and pack everything away for the next show. This will be at the Stansted Garden Show in June; more about that another time. 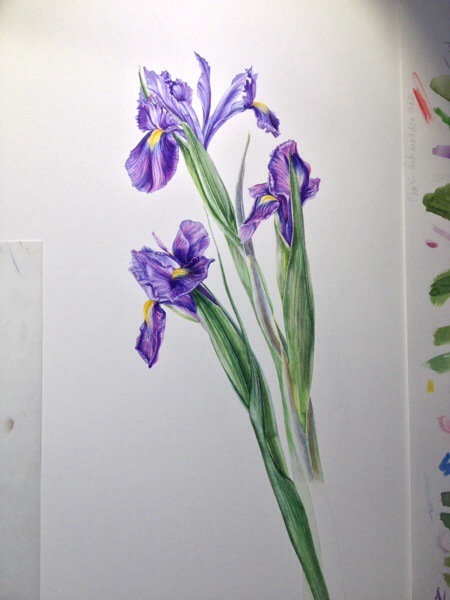 But, today I have been hastily finishing off the picture of Irises in Watercolour, so that I can trace off a similar image to use for the coloured pencil demo tomorrow. I have made some adjustments to the tracing I used and I will tell you why at the demonstration – if you are interested. A hint might be in the following pictures. 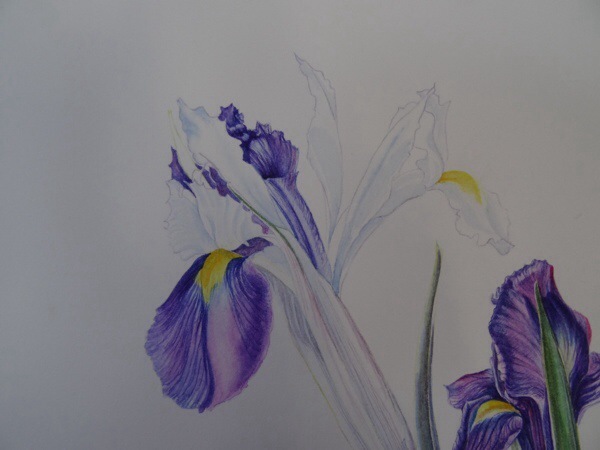 Yesterday you saw the start of the picture with only two Irises of the three intended. I was waiting for the third flower to open properly before I drew it. It will be good to see you in London tomorrow.